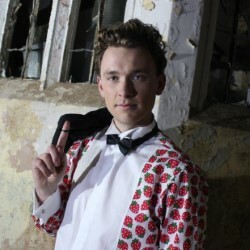 Thomas Cameron is a Classic Brit Award-nominated tenor, whose vibrant voice has been described as having velvet-like qualities. Performing the hits from the world of musical theatre, classical and contemporary music, Thomas has blown away audiences internationally with his critically acclaimed show. Join Thomas and his pianist for a breathtaking performance of his Classic Brit Award-nominated and BBC featured debut album, including his first single Bring Him Home, the well loved Moon River and some interpretations of the biggest hits from Coldplay, Paloma Faith and more!